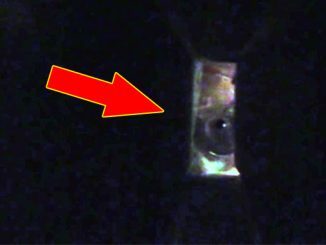 Cameras Catch The Creepiest Things At Night! 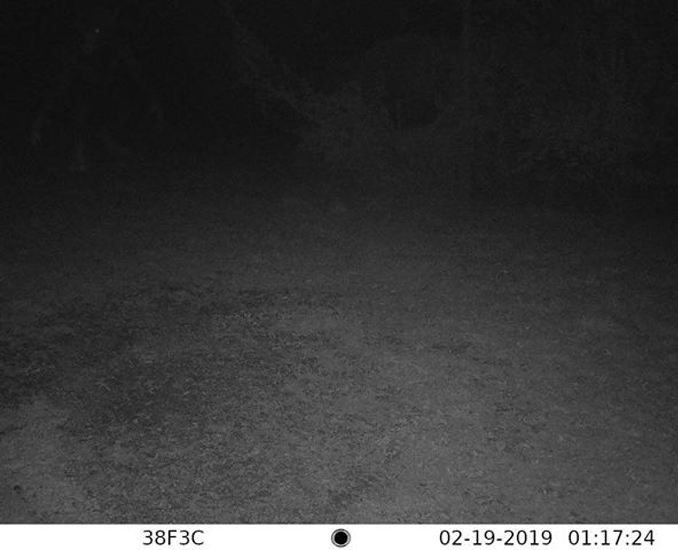 From CCTV footage of a ghost roaming a construction site at night to a creepy creature photographed in someone’s backyard, we look at the scariest things caught on night vision cameras. This video, uploaded to Dark Shadows YouTube channel in June, 2016, supposedly shows the ghost of a deceased construction worker. The clip, which is an excerpt taken from a CCTV camera overlooking a building site captured the figure walking around a little after 1:19 am on the 25th, June, 2015. The ghostly figure can be seen walking along the outside path. It seems to disappear momentarily before reappearing once again a few meters up the road. It does this several times before walking straight through a fence that is blocking the entrance to the site. 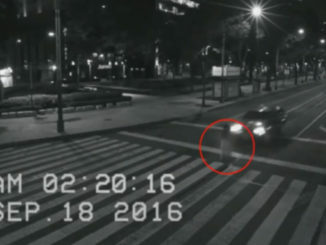 What makes this footage so compelling is that it was captured very early in the morning, making the figure unlikely to be a person walking past. 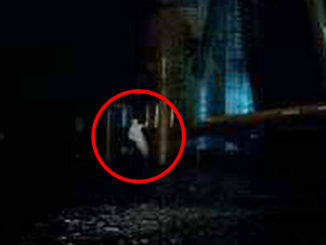 While many viewers genuinely believe that this video shows proof of a ghost, it is difficult to speculate any further based on the unknown location of the construction site. Unfortunately, without further information we may never learn the truth about this mysterious video. This photo was sent to us on Facebook by Jackson Lee Stinnett. 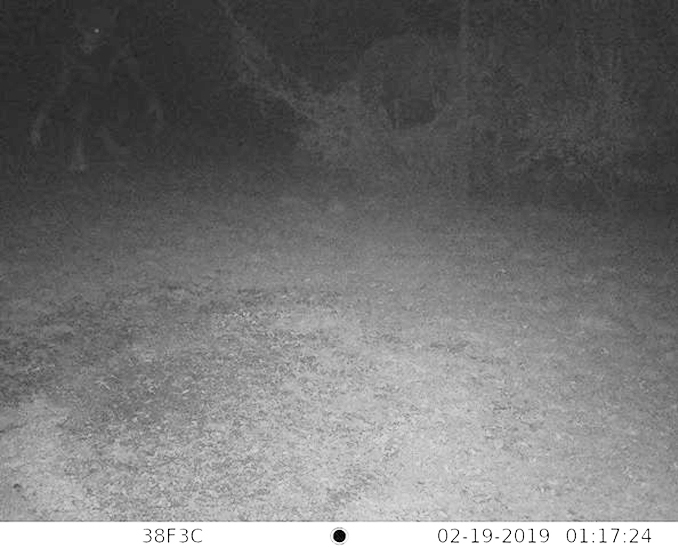 At first, it appears to show nothing out of the ordinary, but if you take a closer look in the top left hand corner you can see the faint outline of some sort of large creature. Stinnett claims that the photo was taken by a camera set up in a neighbor’s backyard on a cold night in February during a full moon. He said that the owner of the camera originally posted the photo to Facebook to see if anybody could identify the mysterious beast, however no one was able to. If you take a look at the photo after it has been brightened you can clearly see the monster. It has long arms, clawed hands and a horned, ghoulish face. It certainly doesn’t look like an animal! Is it possible that the image is simply a case of pareidolia – the psychological phenomenon that causes people to see patterns in a random stimulus, caused in this case by the trees and bushes in the background perhaps? It seems unlikely, as you can clearly make out the creature’s entire form. What do you think this beast could be? An alien or werewolf? Or could it be some sort of creature that has yet to be discovered? 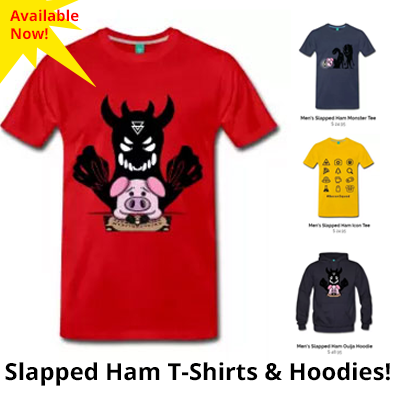 This scary video was uploaded to shimmyjimhog’s YouTube channel in February, 2014. The uploader claims that they were trying to film what they thought was an animal in their house when they captured some sort of alien or non-human life form. They said that they contacted the police and reported an intruder in their home but that no evidence of a break-in could be found. The police searched for finger prints in the bedroom and bathroom however, there was no trace of the mysterious invader. 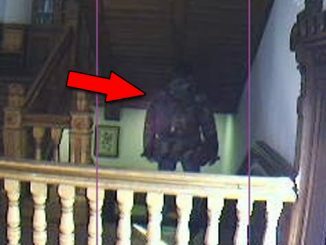 When the video was first uploaded, many viewers attempted to identify the figure. Some thought it was an alien while others suggested that it might have been some sort of monster, possibly even The Rake. As the footage is brief, it’s difficult to pass judgement on what the creature actually is. However, it definitely appears to be humanoid and seems to have glowing eyes. 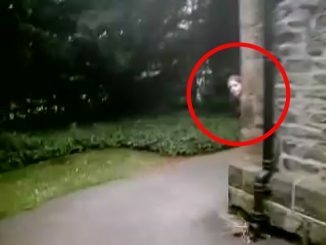 While it’s possible that it could simply be a prank it is undeniable that there is something very mysterious and eerie about the way the figure moves. 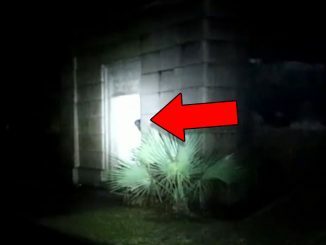 What do you think this YouTuber has captured lurking in their house in the middle of the night? Let us know your thoughts in the comments section below. 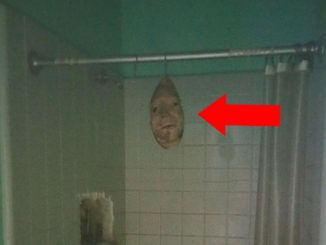 This creepy photo was sent to us by paranormal researcher, Billy Engler. 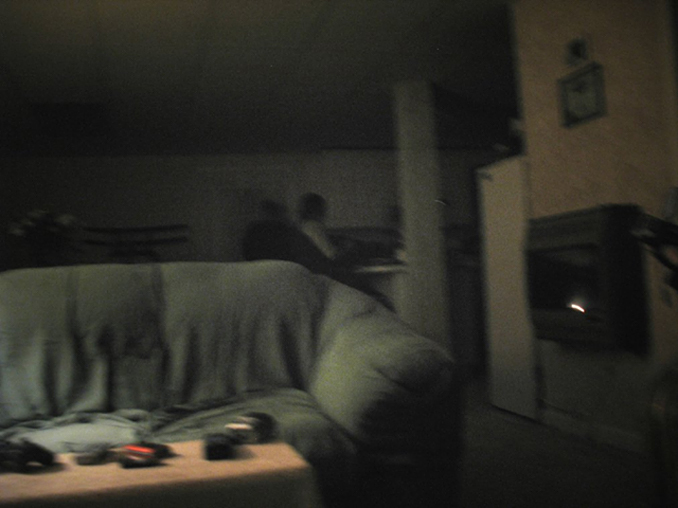 It was captured in 2006, while Engler was conducting an EVP session at a client’s home in Dallas, Georgia. During the investigation, there was a knock at the door. As the owner of the home (the man seen dressed in black) was walking to the door, Engler managed to capture this photo. 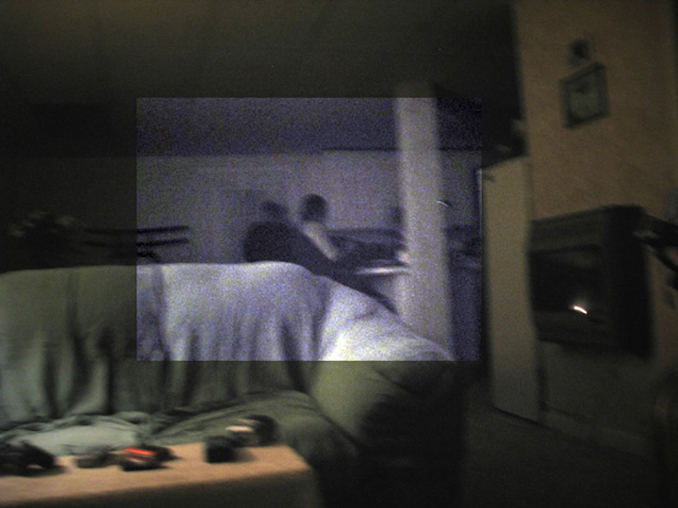 The picture appears to have captured another person wearing a white top standing right beside the kitchen bench. After reviewing the photo, the owner said that the figure in white looked a lot like his mother who had passed away in the house when he was younger. What do you think? Has Engler actually managed to capture photographic proof of the afterlife? Or is there another explanation for this image? 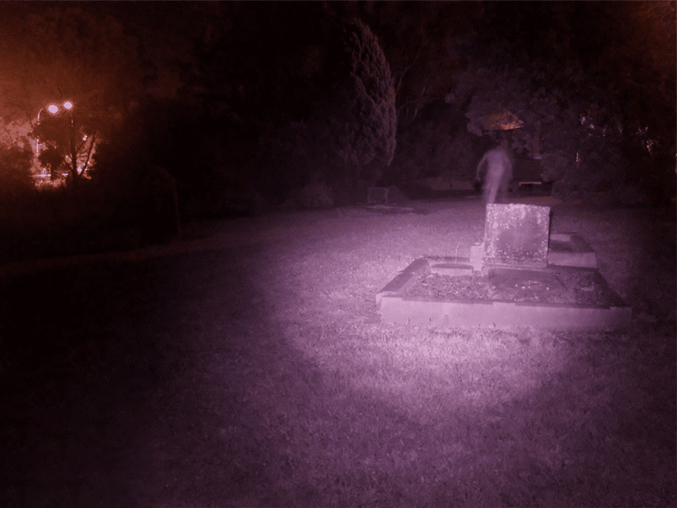 On Halloween night 2015, a member of the Sydney South West Paranormal Investigators (SSWPI) from Sydney, Australia captured this very convincing ghost photo while investigating an old cemetery. While on a tour of the grounds, they heard a whining sound coming from over near one of the graves. Using a high spectrum camera, the investigator managed to capture this photo that many are hailing as proof of the paranormal. Opened in 1841, both the cemetery and church have long been associated with the supernatural. Magann is no stranger to paranormal encounters. She claims that a local scout group once saw her being followed by the ghost of a short man as she walked in the direction of the M4 motorway. Her research later revealed that the ghost may have been that of Thomas James Willis, a man known as the Penrith Jockey. His mother, Mary is buried in the cemetery but Magann believes that his spirit is really there because of his daughter, Emily who died when she was only three years old. However, the tour guide is not the only one who claims to have had an encounter with the ghost of the little girl. Members of the SSWPI say they too have seen her running around the cemetery only to mysteriously disappear into thin air. 2. Police Officer Attacked by Aliens? This video, uploaded to Daily Buzz Live’s YouTube channel in September, 2014, shows something truly bizarre. According to the description, the entire incident was captured on officer Joe Hall’s dash cam as he pulled over a driver for an unsafe lane change. Officer Hall approaches the car and can be heard asking the driver for his licence and registration. What happens next, is truly the stuff of science fiction. The driver claims that as he reached over to get the documentation for the officer, he noticed a bright light in the distance. Suddenly, it was as if the officer started to melt. The driver can then be seen speeding away from the scene after which, according to the description he called 911 from his cell phone. The driver was later detained and questioned. However, after the dash cam footage was viewed, the driver was supposedly released. The footage is certainly shocking to say the least but is it real or just a cleverly constructed fake? When the video first surfaced online, many viewers thought that it might show some sort of alien technology, possibly even a teleportation attempt that went horribly wrong. Understandably, others were more skeptical suggesting that the video was far too fantastic to be real. To this day, the footage still encourages fierce debate among the paranormal community. Sadly, without further information on the incident we may never know the truth about this truly bizarre video. In November, 2010, a man named Jose from Fresno, California captured this scary footage on his home security camera. He contacted a local television station who later sent the footage to MUFON (Mutual UFO Network). They viewed the clip and interviewed Jose however, they were unable to identify the figure seen in the video. The footage, was soon shared across the internet where the creature quickly became known as the Fresno Night Crawler. The following year, security officials at Yosemite National Park captured this video while trying to identify a group of vandals who had been damaging private property. The footage appears to show the same bipedal creatures that were seen walking through Jose’s backyard. The beings appear to have very long legs and almost no upper bodies whatsoever. After these videos surfaced, several more sightings were reported of the mysterious creatures. All in and around the area of Fresno, California. The footage continues to be scrutinized to this day, with many declaring it proof of alien visitors. 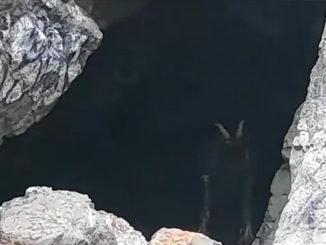 Others have attempted to debunk the videos, noting that the creatures might have been faked using ropes and fishing line. Some have even suggested that the figures could be little more than stilt walkers dressed in sheets. Recently, it has been discovered that the creatures bare a striking similarity to several Native American wood carvings found in the area and have also been reportedly recognized by at least one local Native American Tribe. Could it be possible that the Fresno Night Crawlers are actually some sort of strange, undiscovered animal local to the area? Or is there something else at play here? Let us know your thoughts in the comments section below.